The latest film from Jeff Orlowski, director of Chasing Ice, follows a team of divers, photographers and scientists on their epic quest to capture the perfect shot to illustrate the devastating impacts that climate change is having on the world’s oceans and coral reefs. 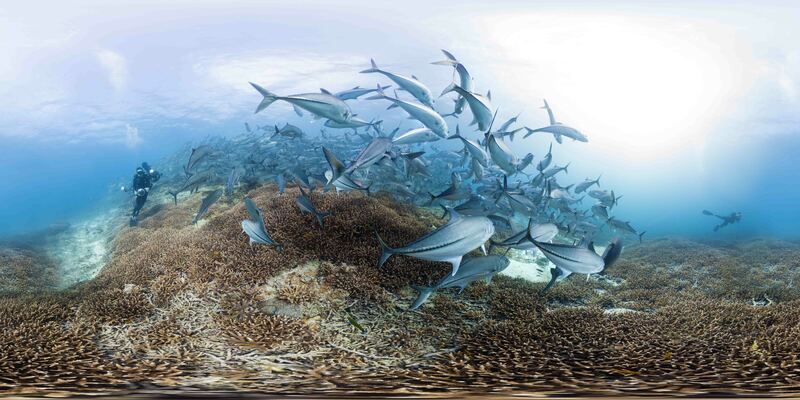 Chasing Coral is a profound call to action to reflect and change the human behaviour which has led to this tragedy. Chasing Coral shadows a group of marine biologists, a self proclaimed ‘coral-nerd’ and camera designers as they set out to record the real time effect of coral bleaching. Coral bleaching is the phenomena in which coral loses its vibrant colour and turns to white – a sign of coral death. Coral bleaching has been rampant in recent years due to increased ocean temperatures and ocean acidification. As the tragic mass deaths of our coral occurs below sea level, much of the public remain unaware as to the extent of the ecological catastrophe. The crew in Chasing Coral fight technological and natural hurdles in order to record and present the truth of coral bleaching. The final results are emotional and shocking, offering tragic proof of the need of immediate and drastic social change to curb the devastation of our ecosystems.